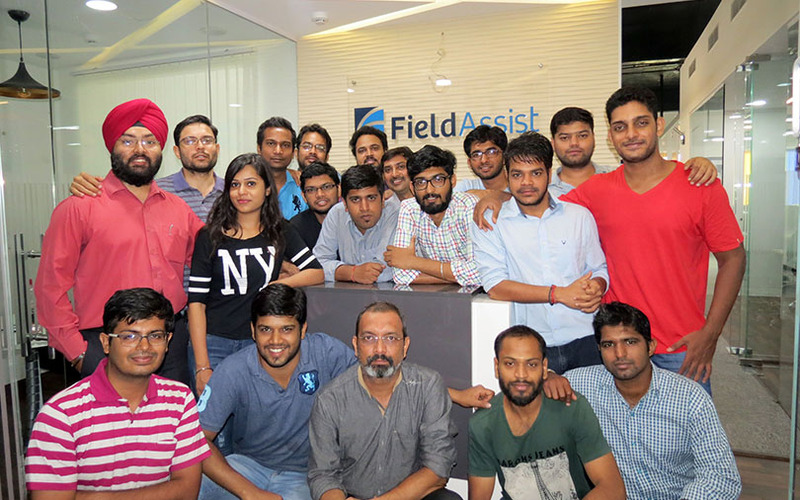 Gurgaon-based FieldAssist, a software-as-a-service (SaaS) platform that provides sales force automation services, has secured an undisclosed amount in debt funding from Small Industries Development Bank of India (SIDBI), a top company executive told VCCircle. According to Peeyush Jain, the co-founder of Flick2Know Technologies Pvt. Ltd that runs the technology platform, the money will be used on research and development to strengthen the company’s artificial intelligence and machine learning offerings. In 2015, FieldAssist had raised Rs 50 lakh in its first round of funding from SIDBI. The company was co-founded in 2014 by IIT-Dhanbad alumni Jain, Apurv Gupta, Divir Tiwari, and FMCG professional Paramdeep Singh. Singh, the CEO, had earlier founded food manufacturing company Param Health Foods. FieldAssist helps FMCG companies track and manage their field force and sales processes, besides automating the entire process of taking orders. It also offers analytics to enable companies make intelligent decisions. It claims to have more than 100 customers, including RJ Corp, Everest Spices, Del Monte, Raymond, Mahindra and Mahindra and Alkem Laboratories. “The rate at which the retail industry is growing in India, it is imminent for companies to adapt new technologies in order to streamline operations. We are investing a lot in enabling artificial intelligence on our existing platform. We are also paving the way for a new sales mechanism which will give more power to salespersons,” said Singh. Backed by CIIE, FieldAssist was selected for the Start-up Chile programme and had received a grant of $40,000 in January 2014. In 2016, it was considered by FaceBook for the FbStart programme in Bootstrap track. The company was also part of the India-Russia Bridge for Innovations accelerator programme, which was sponsored by the Indian government’s department of science and technology, and Global Venture Alliance.